Perk Profile: Charity Program | Pro Athlete, Inc. Giving back to the community- what a wonderful feeling to be able to give back and help others in a time of need! As Jackie Robinson once said, “A life is not important except in the impact it has on other lives.” This quote is paired with one of our Core Values, Embrace Stewardship, and can be seen on one of the walls within our facility. Similar to all of our other Core Values, we do our best to live out “Embrace Stewardship” within our business and personal lives. It has quickly become a favorite Core Value and perk here at Pro Athlete. More than that, it has become a way of life for many employees! In the past, decisions regarding community involvement and giving back would be made from executives at the C-suite level. However, we quickly learned that not every person is passionate about the same causes and benefits. At that time, Pro Athlete decided it would have a bigger impact and hit home with more people if they were all empowered to be involved with causes they are most passionate about. From this, Pro Athlete’s Charity Allotments were created. Today, in addition to the company giving back to a few special organizations as a whole, all of our employees are also able to experience the great opportunity of being able to give back to the community either through donating their charity allotment funds or by taking time off to volunteer. All full-time and part-time employees can earn an allotment that they can use to give back monetary funds to any charitable organization(s) of their choice. Full-time employees are able to earn $1,500.00 per year and part-time/seasonal employees are able to earn $500.00 per year. To earn their allotment, all an employee has to do is volunteer a few hours a year. 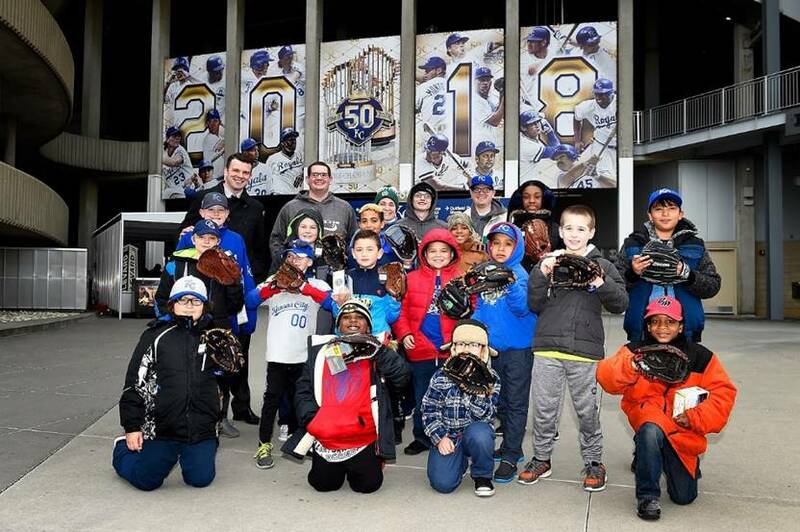 In 2018, our employees have volunteered at several places including the Down Syndrome Guild of Greater Kansas City, HopeKids KC, Noah’s Bandage Project, YMCA Challenger, and the Kansas City Royals Charities Gloves for Kids event with Ryan Lefebvre at Kauffman Stadium. In addition to volunteering, our employees have also given their own 2018 charity allotment funds to Dayton Moore’s “C” You in the Major Leagues Foundation, Children’s Mercy Hospital, American Cancer Society, Susan G. Komen, War Horses for Veterans, and Big Brothers Big Sisters of Greater Kansas City, among others. To view more ways that our employees and our company have been involved, feel free to check out Pro Athlete In The Community. If you know of any charitable organization(s) that may be in need of volunteer opportunities, feel free to lets us know by reaching out to Contact@ProAthleteInc.com. We will be sure to share the awesome opportunities with our employees!